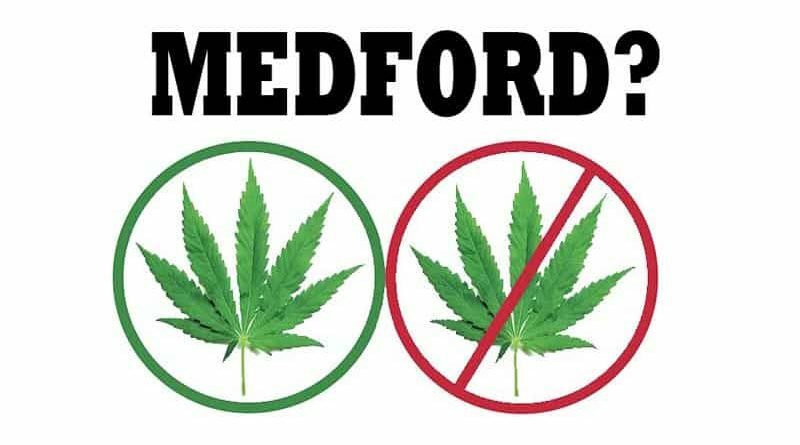 The Medford City Council today voted to send two different questions to the ballot November 8th on whether to allow marijuana cultivation in the city, both medical and recreational. One measure would ban only outdoor growing in residential zones, the other would ban all growing in the cities neighborhoods. Often impassioned testimony was given by patients and growers concerned about the cities decision to move ahead with a referral in November. “A ban on the ballot, incites conflict. 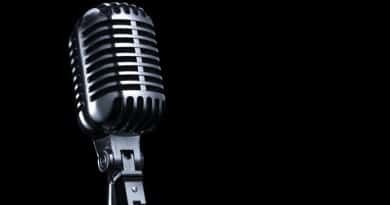 This will bring a legal battle, that no one wants,” Valencia said, in reference to the feeling by many that the ban is not legal and oversteps the cities jurisdiction. 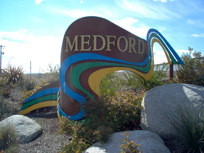 Bearnson and Stine, Medford’s maverick councilmen! 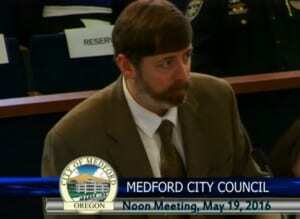 “I would not support this motion, it’s a complete waste of resources; as we have been told, we will get sued; and I am under the opinion that people do have the right to grow their own medicine in their back yard.” said Councilman Clay Bearnson, co-owner of Oregon Farmacy dispensary which recently opened in downtown Medford. 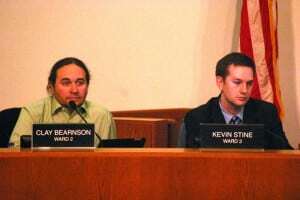 Bearnson abstained from the vote, although he is vehemently against the ban, due to his conflict of interest being a marijuana businessman. 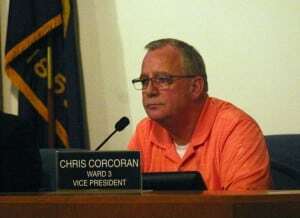 Councilman Chris Corcoran. Image OCC Newspaper. So, even if this ordinance passes, the limit per household will be four plants…medical grower or not. Recreational growers will have the same limit as sick patients. Patients who often spent 500 dollars, or more, to register with the state of Oregon to access their medicine tax free and grow often their own. Problem is, they are not allowed to to that, according to many activists and attorneys. State law preempts the local ordinances affecting medical marijuana. A lawsuit is almost guaranteed if they move forward with any restrictions beyond what is sanctioned by the state. So, vote by the people or not, they ban would be illegal. And, regardless, their current limit of four plants per household is also illegal, since a medical grower is allowed 12 plants at a home under state law. In April, the council sent a referral to the voters to decide on whether to allow recreational retail sales in the city. They also sent another that provided for a tax of 3% on the retail sales if they decide to allow the businesses. All other OLCC and OMMP licensed businesses are allowed in the city with proper licensing and permits. One hopes that everyone affected is registering, voting, and getting everybody they know to do so also.